The Fourth of July, New Year’s Eve, and numerous other celebrations across the globe wouldn’t be what they are today without fireworks. It turns out that we owe our fascination with the pyrotechnic displays to ancient Chinese pyromaniacs. Sometime between 600 and 900 A.D., a few alchemists, hoping to concoct an elixir that would make them live forever, instead found an early form of gunpowder. They mixed charcoal, sulphur, and a few other ingredients with potassium nitrate—back then, known simply as a food seasoning. The effect was, well, explosive. The Chinese started putting the mixture into bamboo shoots, something of an early form of a pipe bomb, and throwing them into the fire, which produced a loud blasting sound. After the first fireworks were invented, they were marketed to people of all walks of life. During the Song Dynasty (960-1279), a mere hundred or so years after the invention of fireworks, street vendors were selling the things, and fireworks displays were put on. By that time, paper tubes likely replaced bamboo. Of course, the concoction used to make fireworks wasn’t kept to fireworks alone. The explosive power was soon applied to other things, and became particularly useful on the battlefield. Some of the earliest forms of incendiary devices were little firecrackers that were attached to arrows and shot into groups of enemies. Eventually, this led to the creation of the first rockets. Along with being more effective at killing or otherwise maiming people, this also paved the way for aerial fireworks. Sometime around the 13th century, traders, missionaries, and diplomats started to visit China and brought back samples of the powder to their home countries, with the earliest documented evidence of Arabs having intimate knowledge of gunpowder in 1240. Needless to say, Europeans’ interest was piqued; they too wanted to harness the power of what would become known as gunpowder. This knowledge quickly led European weapon makers to create their own designs for muskets and cannons. However, less destructively, it also led to the spread of fireworks throughout Europe, with fireworks even then used for celebrations just like they are today. For instance, in 1486, Henry VII had fireworks at his wedding to Elizabeth of York. Fireworks were also commonly used by the nobility in order to impress visitors. During the Renaissance, pyrotechnic schools started to pop up where fireworks artists could gather and train together. Italy—the hub of many other Renaissance advancements—also became the centre of fireworks experimentation. By the 1830s, the Italians had the idea to put in various metals with the powder. The effect is what you see today: vibrant bursts of colour lighting up the night sky. How does it work? When the metals get heated, their electrons transition to an excited state; when the electrons start to calm down and return to a lower energy state, they release energy in the form of photons in the process. The energy determines the wavelength of the light you see, producing various colours depending on the substance involved. For instance, you can produce a nice red color by using lithium chloride. If you want yellow, you just mix in some sodium nitrate. For blue, copper chloride works well. For bright white, you just need a little magnesium powder. The list goes on and on. The Italians during the Renaissance likely didn’t have the ability to make every colour of firework that you see today, but their experimentation set the groundwork for today’s intricately colorful displays. Why did he think July 2nd would be Independence Day? Because that is the day the Second Continental Congress voted to approved a resolution of independence. Although nobody signed the Declaration of Independence on July 4th (most doing so on August 2nd), July 4th was the date the Declaration was announced to the world, and the date has been celebrated with fireworks for the majority of the history of the United States. Other special occasions, such as bringing in the New Year, remain a popular time for fireworks across the world as well. Interestingly enough, in this case, their use hasn’t changed much since they were first made by the Chinese. 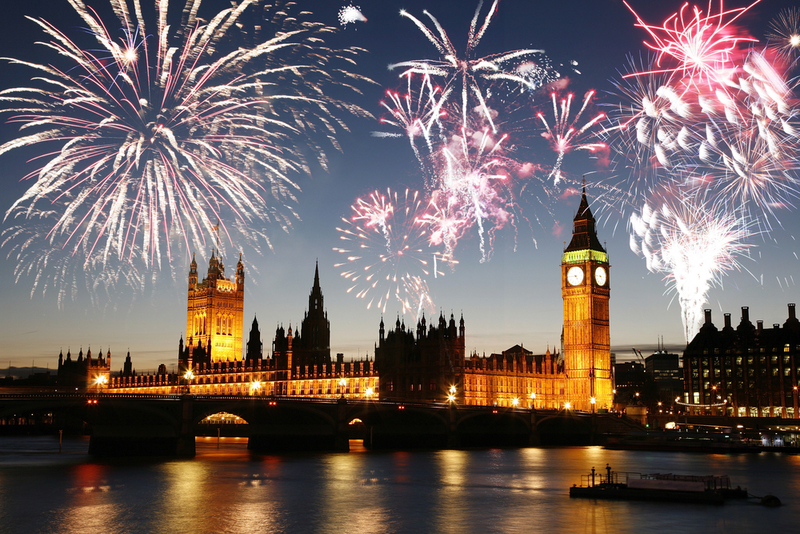 Arguably one of the biggest occasions for fireworks, though, is Guy Fawkes’ Night in the United Kingdom. Celebrated annually on November 5th, it is a commemoration of the failed Gunpowder Plot in which Guy Fawkes attempted to blow up the House of Lords in 1605. Fireworks have been used to celebrate the day from quite early on, though they were banned in 1682 and again in 1685 by James II. While James II was motivated politically, other people have sought to bring about the demise of fireworks. For instance, it was fireworks that allegedly prompted the formation of the Society for the Suppression of Unnecessary Noise in 1890 (though they had many issues with other types of noise as well). The Society sought to place restrictions on the use of fireworks, as they were going off so much that it seemed purchasing fireworks had become an occasion of such significance to set off fireworks… This trend towards restricting fireworks has continued since and today except for at specific times and in specific places, in many regions of various nations, it is illegal to set off fireworks. While the ratios vary a bit based on what you’re using the powder for, strong gunpowder is typically made from a mixture of potassium nitrate (75% by weight), charcoal (15%, best from Pacific Willow, Alder, Cottonwood, or Buckthorn trees), and sulfur (10%). These substances are ground to a fine powder and mixed together thoroughly. The purpose of the nitrate is to supply oxygen to the reaction as it burns, significantly increasing the speed of the burn, and thus the explosive power. The charcoal simply works as the fuel for the reaction. Finally, the sulfur, besides serving as fuel, ends up functioning as an agent to lower the ignition temperature, further increasing the speed of combustion, and thus increasing the explosive power. When mixing the above substances, often water is added to help reduce the risk of an accidental explosion. This also was found to have the byproduct of making the powder more explosive thanks to the nitrate better mixing with the charcoal when water is added. In 1280, one of the first known large accidental gunpowder explosions occurred when a large store of gunpowder at Weiyang ended up catching fire. The result was an explosion that killed around 100 guards, as well as shot timbers and other matter as far as 2 miles (3.2 km) from the blast site. Funny enough, bamboo itself is somewhat explosive in the right circumstances. Due to the air pockets found in bamboo, when it’s heated, it will make loud crackling sounds, kind of like a firecracker. “Bamboo cannons” are still in use where the plants can be found. In Malaysia, a flammable liquid is put inside a bamboo stalk before it’s heated—much more economical than buying fireworks, even if they are more dangerous (not to mention illegal in many areas).